That is one smug chin! Martin keeps his flashbacks in his ears. Many people keep them in their belly buttons, or between their toes. 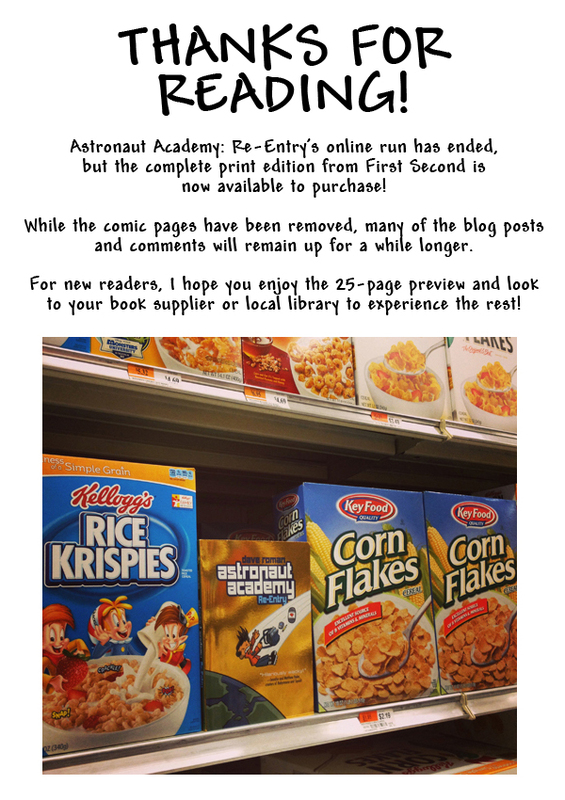 Just as I was about to turn the final files for Astronaut Academy: Re-Entry in to my publisher, I discovered I had two extra pages to play with, to match the page length of Book 1. So I moved some stuff around, and added a few moments that originally were just referenced off-panel, like this one of Martin rebuilding Cybert the robot over the semester break. I know more than you think you know that I know.